"Listen to me. Judge for yourself," Rahul Gandhi said during his recent trip to the US. And, everyone did. Congress vice-president Rahul Gandhi managed to make heads turn with his calculated responses and speeches during his two-week visit to the United States, which started on 11 September. He addressed the students at Princeton University, the University of California, met members of some major think tanks and ended his trip with a final gig at New York Times Square. The aim of his tour was largely seen as an attempt to reconnect with the Indian diaspora. While he may be facing criticism in India from a few Congress members for abandoning the party ahead of the crucial Gujarat Assembly elections, he has nevertheless injected life into an otherwise comatose Congress. Rahul made a good impression on his audience by taking a break from the usual rhetoric of his party when disagreeing with the Centre. Instead, the Congress vice-president accepted some (if not all) of the flaws in the organisation of his own party. Rahul even praised some of the BJP-led central government's schemes, possibly reflecting a sense of maturity. Therefore, it may not come as a surprise that he is likely to take on the top job in the party later this year. The Hindu quoted senior party sources as saying that Rahul will helm the Congress from November and Sonia Gandhi will continue to be a member of the Congress Working Committee (CWC). Rahul started his US tour with a speech at the University of California, Berkeley on the issue of 'India at 70'. Talking about the idea of non-violence which is under attack, he said, "Using violence against a person infected by a bad idea results in the idea spreading. This non-violent philosophy has spread far beyond India. Non-violence is hard work." 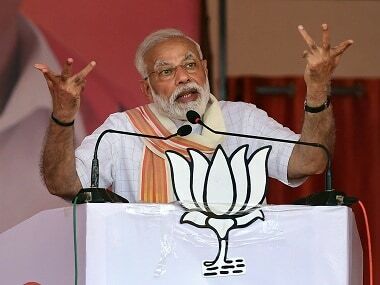 While he attacked Modi for controlling and managing an online machine of over a thousand trolls with a purpose to destroy his credibility, he also said that the prime minister is a better communicator than he is. The Hindustan Times points out the fact that Rahul was not travelling with a media entourage and Indian media which is often hostile to him has not been able to go after him this time around. Rahul also admitted that Congress was complacent and arrogant going into the polls, when talking about the 2014 Lok Sabha elections. "In around 2012, arrogance crept into the Congress and we stopped having conversations with people that led to the party's loss in the last polls," Rahul said. On dynastic politics, a subject for which he has been ridiculed by BJP leaders, he said, "this is a problem that is present in all political parties in India. Akhilesh Yadav is a dynast. (MK) Stalin is a dynast... Even Abhishek Bachchan is a dynast. Don't go after me because the entire country is running like that. That's what happens in India." 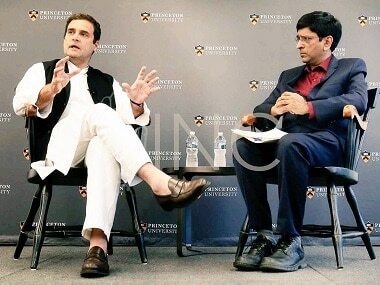 Rahul also interacted with students at Princeton University in New Jersey and talked about the challenges present in India. The focus of his speech was on jobs and how to solve the challenge of job growth problem. While claiming that the UPA government did better in terms of creating jobs, he said that the job numbers are nowhere near what they should be. He was attacked back home by Shah, who demanded an account of work of his three generations. While praising 'Make In India', Rahul said that he likes the concept but the targeting should be different. "If Make in India is implemented well, it is a powerful idea," he added. Rahul also attended an event organised by the the Indian National Overseas Congress (INOC) and lauded the diversity of India which came about because of Congress. He said India has many religions and different languages and people have been able to live happily together because of the ideas of Congress. He talked about divisive politics, saying "divisive politics is going on and it has to be fought." 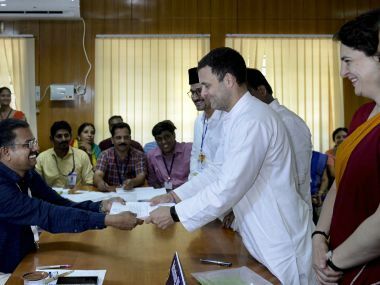 While terming the NRIs as the backbone of the country, Rahul said he was keen to involve them in the work of the party to discuss its vision forward. This was primarily advertised as the aim of the Congress leader's US visit. As Modi and the BJP has been garnering the support of the NRIs and making a reputation abroad, Congress wanted to revive the defunct support base of the party. A party leader told Scroll, "There was a view in the community that the Congress had forgotten them or was not interested in them. We needed to correct this perception." Congress leaders have also emphasised that their party's outreach to Indian-Americans was long overdue. Overseas Indians, as a Congress leader told Scroll, wield considerable influence in the American establishment and in India and therefore, it is important to connect with them. reported. During his meetings with think tanks, he expressed concern over the inability of the government to create jobs in India. Republican strategist Puneet Ahluwalia, who met Rahul, said, "I would say, he did not seem to be somebody who did not understand the issue. He has an understanding of the issue." Rahul has been getting positive responses for his speeches in the US. The Hindu said that the larger message the Congress hopes to send out through this trip is that Rahul is an influential liberal voice in the world at a time of growing authoritarian regimes. The Quint called him an "honest, impressive Rahul." Even when he fumbles – as Rahul clearly did while answering a question on dynastic politics – it shows his frailty as a real person, the report said. The Congress possibly sees the good press as an opening for itself, as The Hindustan Times pointed out. 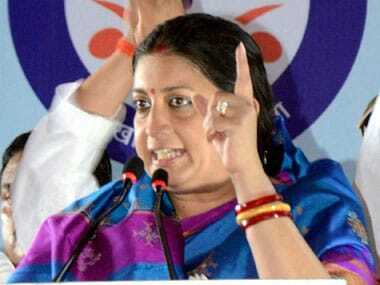 Party leaders are rejoicing that their leader is well received in the US and also in India. They are hoping that the Congress will make a come back and Rahul will rein in positive changes. However, all his speeches might not have hit the right note with everyone. While BJP leaders have unitedly criticised him and ridiculed him, this Daily-o piece also says that "despite batting for non-violence, plurality, democracy, secularism, constitutionalism, and equality, is nevertheless not able to put all these values together and offer a new catch-phrase for Indians to swallow en masse." Some of the critics within the Congress party are also unhappy with Rahul's regular foreign jaunts and argue that instead of seeking approval from the Indian diaspora, he should prioritise winning the confidence of the electorate back home, as Scroll pointed out. The BJP also scoffed at his visit, terming him a part-time politician. Speaking to ANI, BJP spokesperson S Prakash said, "Rahul clearly seems to be a 'part-time politician' and it's high time that he realises the importance of his party members trust on him." 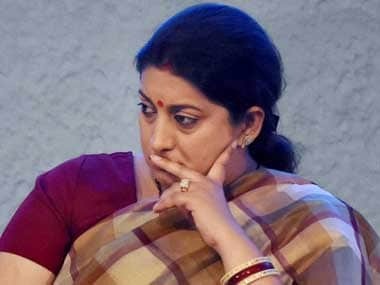 Union minister Smriti Irani called him a "failed dynast" who chose to speak about his failed political journeys in the US. Union minister Kiren Rijiju said Rahul was reading script written by someone else and is ruining India's image on the world stage, India Today reported.